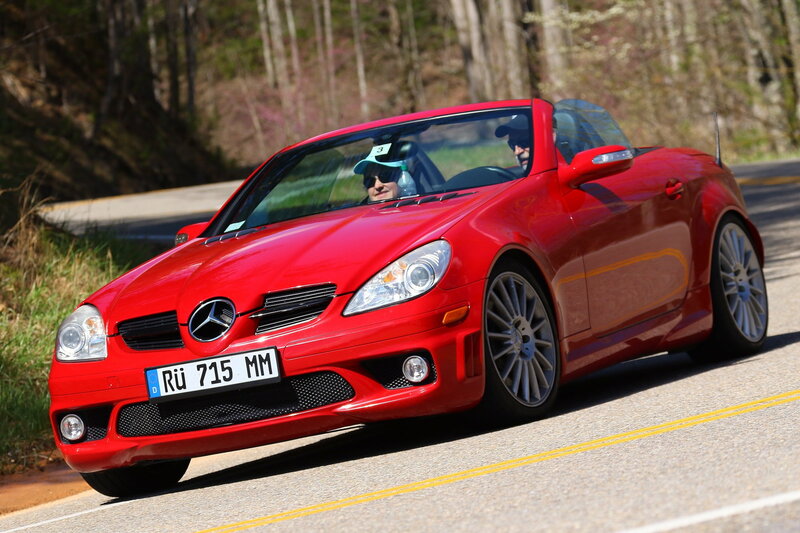 Miss Scarlett and I have attended this run the last two years in the SLK55 and have enjoyed it immensely. It is well organized, well run and follows some iconic East Tennessee Roads usually including the Dragon at some point and a BBQ prize party at the end. Attendees are mostly well behaved with the rare exception of Viper drivers and one errant C5 Vette Driver who attempted to pass me on a 4-lane section right before the Foothills Parkway. We accelerated away as he and his Navigator "attempted" a pass unsuccessfully while I stood on the gas in the old AMG. We then let off and began to decell for the turn onto Foothills. The Vette boyz were so focused on catching us that they blew by just as we signaled our right turn onto the next route segment. We were both laughing so hard, we had tears in our eyes when they realized they had blown by the turn and locked up their brakes in the middle of the fast lane about 100yds up the road. Meanwhile we motored away again. This run is relaxed and has no real pace requirement so you are free to stop, take photos, eat lunch or dawdle as you like. By late afternoon you are back in town. Great event. We hope to go again this year.